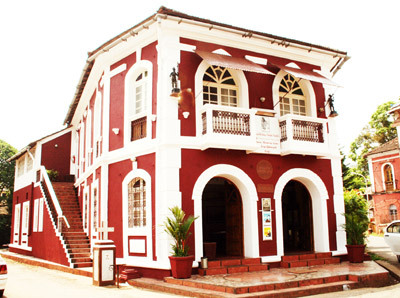 In-house to the Panjim Inn, the Panjim Pousada and the Panjim People's; original work by Local and Overseas artists sprawl over the entire premises. They spill across corridors and public areas and even extend to Guest Rooms. 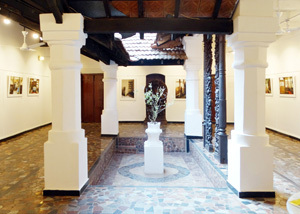 A striking display area is the Chowk of the Pousada where paintings are hung across the white walls of the Verandah circling the Tulus. 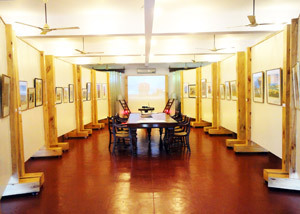 The brown terracotta double tiles of the Verandah Roof, the granite mosaic floor and a curious mix of artificial and natural light filtering through the open “Chowk” has a surreal effect on the Art on display. 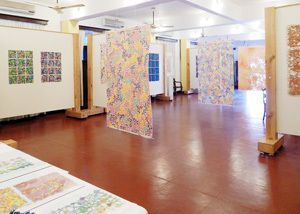 The gallery also exhibits a large collection of Scandinavian art from the 50's to the 90's including lithographs, serigraphs, linocuts, woodcuts and etchings .